A few years ago, Disney added the Plaza Gardens areas on each side of Main Street USA. They included these bronze statues of many beloved characters in these new spots. 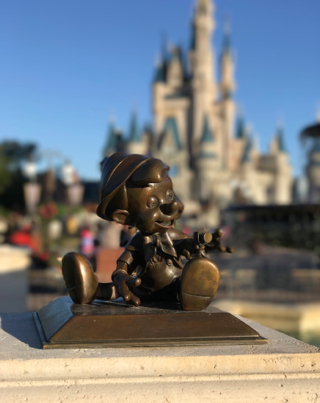 I took this shot of Pinocchio this morning, using the "depth effect" on the iPhone 7 Plus.